(BPT) – Americans’ love for coffee is inspiring them to embark on java journeys around the world, leading them to stunning locations like El Salvador where coffee is an important part of daily life. In fact, coffee farming has fueled the economy in El Salvador and defined its rich culture for more than 200 years. Today, it is estimated there are nearly 20,000 Salvadoran coffee growers producing the elite Bourbon and Pacarma varietals throughout the growing regions of Apaneca-Ilamatepec, Chichontepec, the Cacahuatique Mountain Range and Tecapa-Chichontepec. The end product is shipped around the world and enjoyed by millions of people every day so much that the country’s coffee production is becoming a main attraction for tourists. In addition to visiting El Salvador to surf and hike the volcanoes, travelers are now coming near and far to experience firsthand the country’s world-renowned coffee from the source. Coffee cultivation is considered an art form in El Salvador, and its producers are highly skilled, acquiring deep knowledge from past generations. 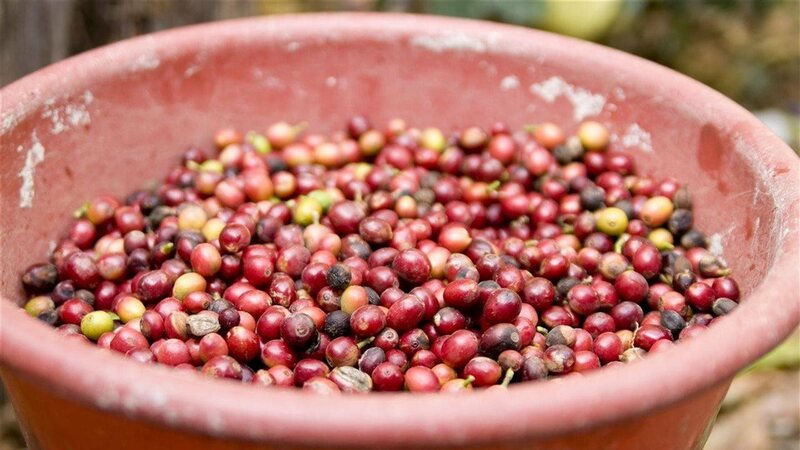 Visitors who want to experience El Salvador’s coffee culture can learn about the process from plant to cup – the proper methods of growing coffee beans, harvesting, sorting, drying, roasting and the delicate process the fruit goes through before it can be brewed. The coffee harvest period in El Salvador begins in October in the low-altitude and extends until March in the higher altitude areas. If traveling during this period, consider checking out the El Carmen Estate, a stunning coffee plantation founded in 1930 in the Apaneca-Ilamatepec mountain range next to the quaint town of Concepción de Ataco. Consider taking the integral tour, which is a 3-hour immersive adventure into all things coffee. First, visitors are welcomed at La Casona, the original farm house, where they are invited to taste a cup of Ataco Gourmet coffee prepared in a chorreador dripper. Next, guests enjoy a guided tour around the coffee mill to learn the full coffee process. If you visit in December or January, you can see the red Bourbon cherries being hand-picked. The beans are then pulped at the wet mill to remove the outer skin, fermented and washed with spring water before being sun-dried on clay patios. Visitors to El Carmen participate in a cup-tasting table and learn the basics of coffee sampling. On the tour, everyone enjoys a country lunch and leaves with a pound of Ataco Gourmet coffee. The high quality of El Carmen’s coffee is due to the estate’s prime growing conditions and a meticulous approach to harvesting and processing. You may opt to explore plantations like El Carmen independently, or, decide to take a tour where experts lead you along the dedicated tourist route. Some of the fascinating cities you may visit on the Coffee Route include Tacuba, Las Chinama, Chalchuapa, Santa Ana and El Congo. Along the Coffee Route, you’ll have the opportunity to explore charming colonial villages, national parks, coffee plantations, rain forests and artisan towns. A variety of accommodations are available here, allowing visitors the opportunity to enjoy a full immersion in the scenic surroundings during a relaxing, overnight stay. It is certain to be an experience you never forget, and you’ll be surprised just how much you learn about coffee production. Just imagine a vacation full of spectacular surf, breathtaking volcanoes and what very well could be the best coffee you’ve ever tasted. Coffee tourism is heating up, so when planning your next vacation, consider El Salvador for once-in-a-lifetime experiences and java journeys that your friends will envy. To learn more, visit www.elsalvador.travel.